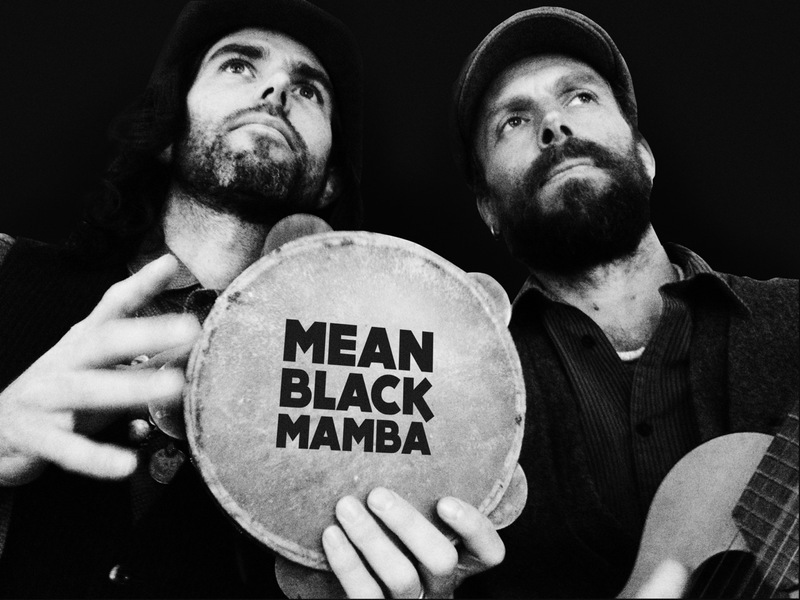 Mean Black Mamba: Raw foot stomping roots music that grooves your body and soul. Words of humor and hope sliding between writhing riffs and the insistent thump of a cowhide drum. This is afro swamp gospel, this is blues n’ roll. Gritty & hard hitting, the music winds you off the floor and twists you to your feet. Fresh. Cosmic delta juju. Like its name-snake, mean with a smile on its face. Born on the southern tip of Africa, Guy Collins has been playing guitar for most of his years. His interest really took off when he was 15 on a warm day. The long distance groove from somewhere in the American south, Howlin’ Wolf on Highway 49, beamed into the living room. African roots, blues, rock ‘n roll. A continual search for an elusive sound. James van Minnen and Guy Collins have both been in the music scene for years, mostly somewhat under the radar, fuelling the backline in some of the more well-known outfits around. 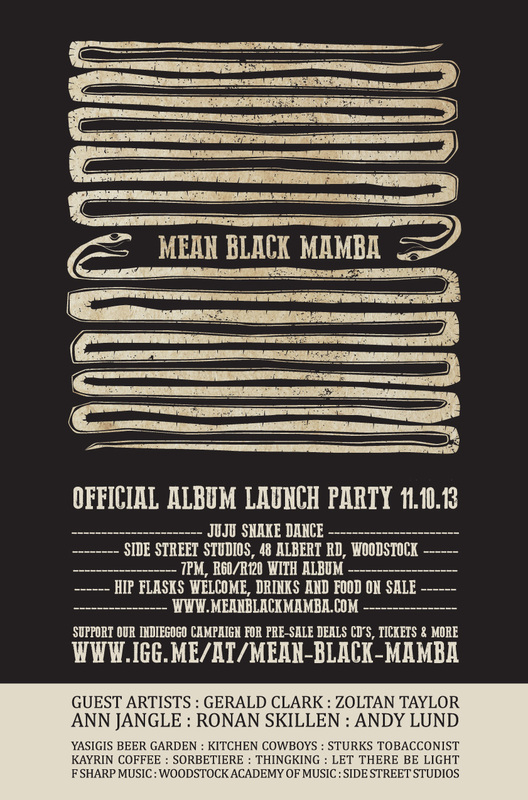 Mean Black Mamba is the result of infrequent collaborations between these two musicians over the past decade, an unnamed two-piece appearing at house parties, street markets and other events where they have slipped in incognito and blown people away with their rich, gritty and rootsy sound. “Grooves are made for dancing and once people get moving, the music takes it’s own course. There are no rules when we are playing and while we have recorded an album of concise songs, we can stretch them out live and segue them into each other over whatever groove or tempo feels right at the time. Their much-anticipated “Killer album.” (Tim Lengfeld, Audio Mastering Engineer) will be launched at Side Street Studios, 48 Albert Rd, Woodstock, on October 11th this year where you can experience this and what is guaranteed to be one helluva shindig with some fantastic guest artists and collaborators.